This is a new item now available at Scheid’s Enterprises: a must have for easily removing tar from any vehicle! Description: Tarminator by Stoner quickly removes sticky tar and stubborn grime that detergents, soap, and water can’t take off–even with a pressure washer! It’s great for automotive fenders, rocker panels, bumpers, grills, windows, and body panels that pick up road tar, grease, and tree sap. MicroActive cleaning technology breaks down the complex molecules found in tar and other sticky substances–all you do is spray, then wipe away! This formula cleans painted surfaces in preparation for polishing and waxing. It removes silicones and wax build-up. 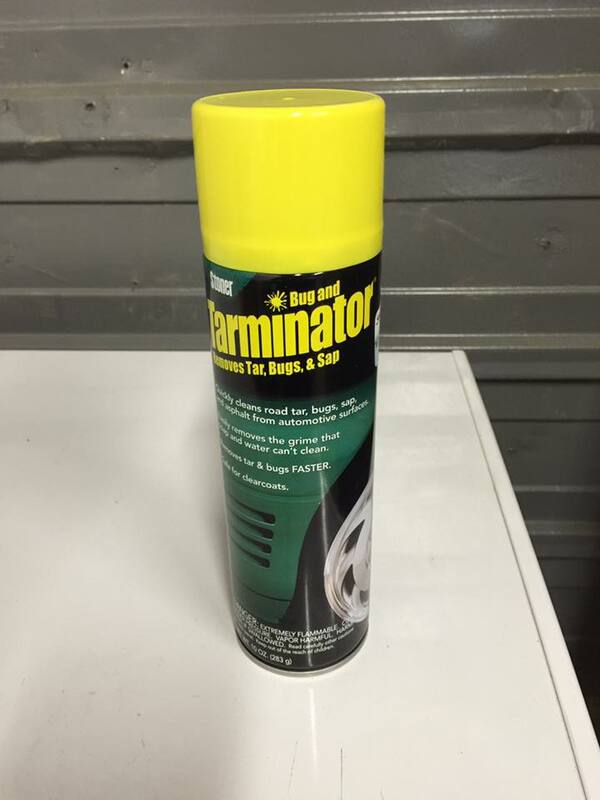 Tarminator won’t harm clearcoats or vinyl trim when used as directed.